Men of courage and valor, struggling to survive the unforgiving elements -- these are characters you will find when you open up this exciting compilation of original tales. 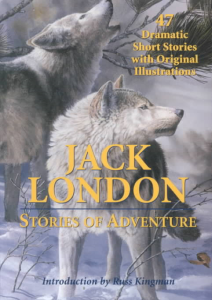 Experience the adventure through 47 of Jack London's dramatic short stories. Get ready, your journey is about to begin! Men of courage and valor, struggling to survive the unforgiving elements -- these are characters you will find when you open up this exciting compilation of original tales. Experience the adventure through 47 of Jack London's dramatic short stories.